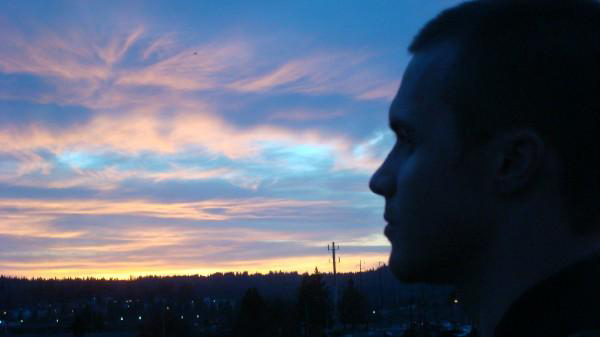 Slow Dancing Society is Washington-based producer and musician Drew Sullivan. As with Brian Eno’s finest moments and David Sylvian’s ambient explorations, Slow Dancing Society’s music manages to dissolve its temporal markers and speak about moments removed from time. It talks to the delicious flaws of memory and feeling whilst never sullying itself with literality or simple documentation. 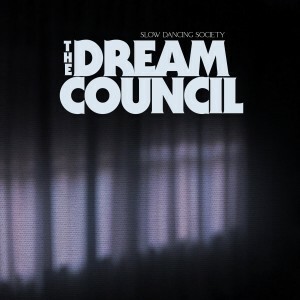 On The Dream Council, the second Slow Dancing Society release of 2019 following the epic Fantosmes, Drew Sullivan embraces his cinematic leanings with full force. Drawing equally on the strident melodicism of John Williams and the brooding low end of Hans Zimmer, The Dream Council excels in its dynamic interplay between light and shade, rest and propulsion. The album offers a carefully mapped out narrative path, exploring a beautiful liminal space between the earthly and the cosmic. 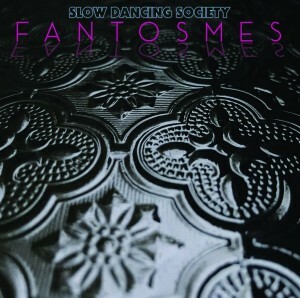 F A N T O S M E S by Slow Dancing Society February 2019 Following on from The Torchlight Parade Vols. I–II, voted as the best ambient release of 2018 by Textura, Fantosmes finds Slow Dancing Society expanding his twilight enquiries in multiple dimensions. Comprising four eleven-plus-minute tracks, the expansive breadth and depth of this album is tempered by its attention to texture and detail. 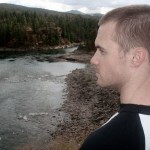 Sullivan masterfully terraforms astonishingly vivid and robust soundscapes from otherwise fragile, ephemeral sounds. Whereas The Torchlight Parade Vols. 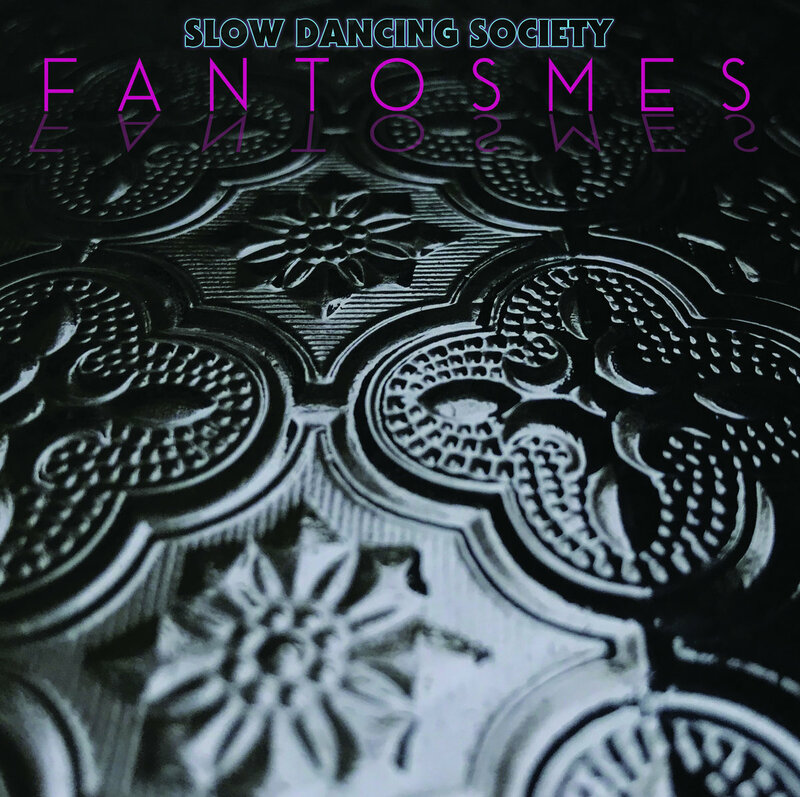 I–II felt like a night drive through cities and suburbs, Fantosmes seeks to escape our earthly bounds, with a more universal, cosmic trajectory. The Torchlight Parade Vol. 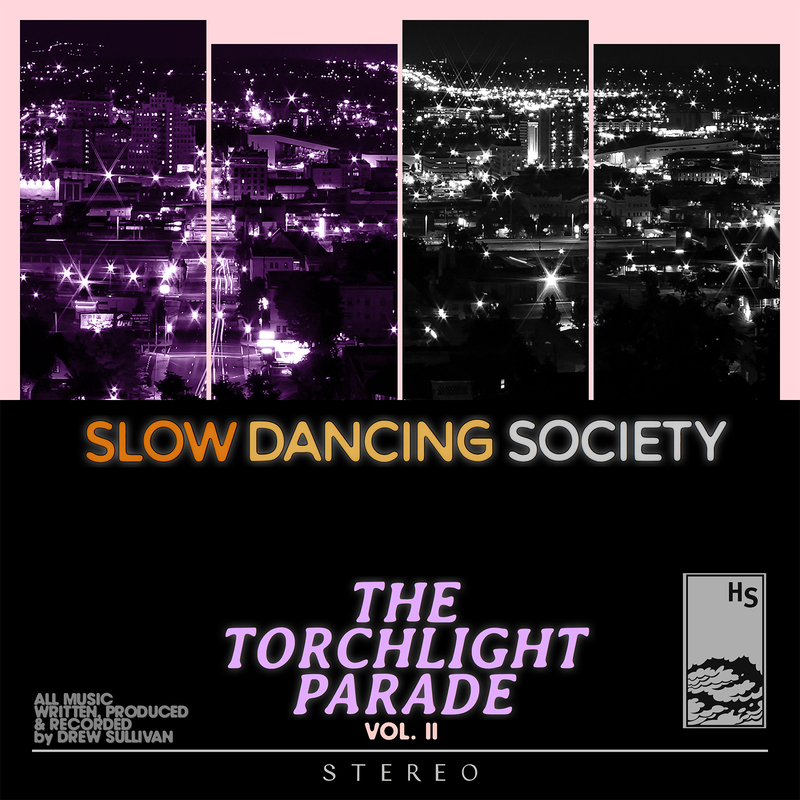 II by Slow Dancing Society August 2018 Volume II of Slow Dancing Society’s (Drew Sullivan) The Torchlight Parade continues the artist’s immersive nocturnal sonic tapestries. While Vol. 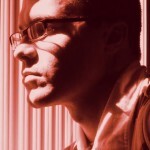 I was marked by a sense of exploration and tension, Vol. II arrives at a place of reflection and resolution. Much like its predecessor, where each track title references a specific place in Sullivan’s home town of Spokane, Washington, Vol. II also creates its own distinct geography – both external and internal. 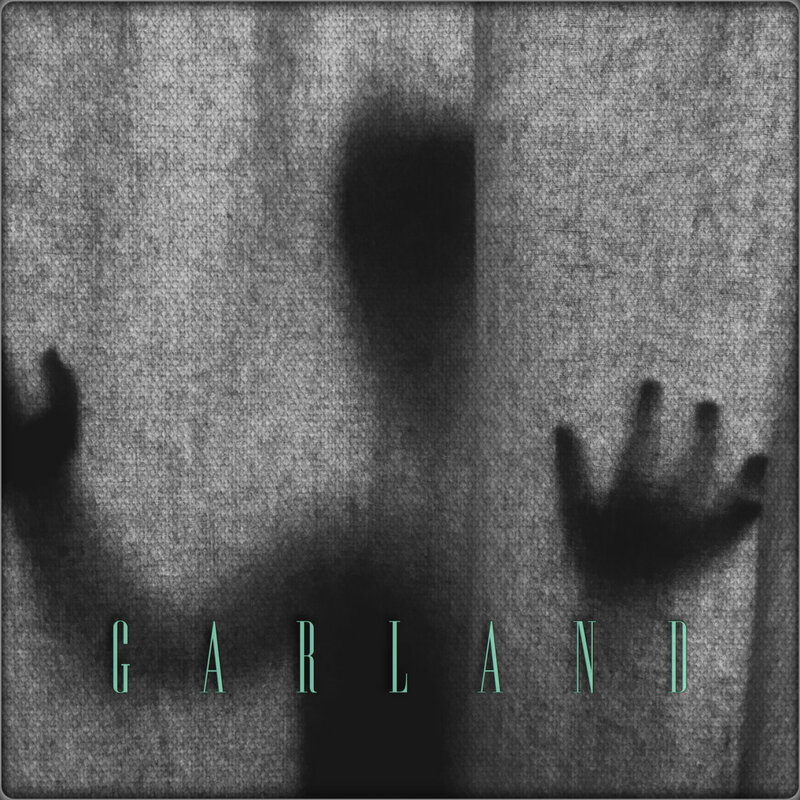 From the graceful melancholy of single ‘Garland’ to the smoky radiance of ‘Shadle Park’, Vol. 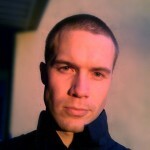 II is a deeply evocative ambient experience. Sullivan’s ability to work within the ambient format, yet create such complex and engaging narratives is a special thing indeed. Following in the footsteps of Eno, these works are soundtracks to films yet made. The Torchlight Parade Vol. I by Slow Dancing Society May 2018 Continuing Drew Sullivan’s nocturnal explorations, The Torchlight Parade takes a smouldering instrumental palette and sparks it to life with gorgeous slo-mo guitar, pulsating synth bass and sparse beatwork. While SDS’s discography is best described as immersive, The Torchlight Parade feels submersive, pulling the listener into an instrumental soundworld with a genuine depth and distinct sense of place. All of the song titles on The Torchlight Parade refer to actual roads or places in Sullivan’s home town of Spokane, Washington, mapping out a deeply personal musical psychogeography. A spiritual successor to 2012’s Laterna Magica, the album extends its cinematic intentions through vividly filmic narratives, presenting an incredibly cohesive whole. prologue: The Magic Lantern by Slow Dancing Society February 2018 While Slow Dancing Society’s 2017 series of EPs navigated intimate human spaces, The Magic Lantern creates a more expansive musical environment. The 20-minute title track’s five movements ebb and flow between gaseous ambient exhalations and more propulsive, kosmische passages, always with its eyes on the stars. A spiritual successor to 2012’s Laterna Magica, ‘The Magic Lantern’ is followed by three superb additional tracks taken from 2017’s My Blue Heaven sessions. 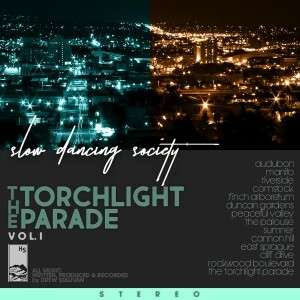 The EP precedes Slow Dancing Society’s first full-length for 2018, The Torchlight Parade. I – IV • My Blue Heaven by Slow Dancing Society October 2017 Bringing together the Lilac Lullabies, The Best Days of Our Lives, Night Takes Day and Ballads for the Boudoir EPs re-emphasises the sublime flow and masterful arrangements of these 20 tracks. Casting new light on the various facets of the SDS sound, each side of the double vinyl is devoted to one of the four EPs, creating a wonderfully evolving listening experience. From sensual, free-flowing ambient and instrumental dream pop to pulsing, Tangerine Dream-esque kosmische and sensual ambient-soul, My Blue Heaven is a soft-focus, immersive collection that sits perfectly with the rest of Drew Sullivan’s enviable body of work. IV • Ballads for the Boudoir by Slow Dancing Society September 2017 Much like 2014’s The Dusk Recital EP, Ballads for the Boudoir marries SDS ambience with a more sensual, soul-inflected direction, coloured by restrained rhythms, atmospheric sax and warm synth tones. Ballads for the Boudoir has the feel of mid-career Roxy Music, with its romantic, dreamy style. From the downbeat dub-soul of opener ‘An Invitation’ through to the crystalline rhythm guitar work of closer ‘The Melting Sky’, Ballads for the Boudoir is a soft-focus closing chapter to this seductive suite of EPs. III • Night Takes Day by Slow Dancing Society 25th August 2017 Following on from the recently released Lilac Lullabies and The Best Days of Our Lives EPs, Drew Sullivan presents Night Takes Day, the third in a series of four new Slow Dancing Society EPs, lovingly mastered by Taylor Deupree. Each EP will be released digitally, one per month from June to September 2017, with the four EPs released on double vinyl later in the year. The pulsing, kosmische feel of Night Takes Day evokes liminal states between evening and night, and between night and daybreak. Each instrumental scene continuously changes colour, shifting from Tangerine Dream-esque twilight to swelling electronic ambient dawn. ‘Pulsing Amber’ is prime sci-fi electronica, with hypnotic arpeggios and expansive analogue sweeps, while the hopeful melancholy of ‘Do You Want To Get Out of Here’ feels like a musical nod to the horizon. Night Takes Day plays out like the soundtrack to a 15-minute Soderbergh sci-fi short – succinct yet expansive and continually evolving. II • The Best Days of Our Lives by Slow Dancing Society 21st July 2017 Following on from the recently released Lilac Lullabies EP, Drew Sullivan presents The Best Days of Our Lives, the second in a series of four new Slow Dancing Society EPs, lovingly mastered by Taylor Deupree. Each EP will be released digitally, one per month from June to September 2017, with the four EPs released on double vinyl later in the year. The Best Days of Our Lives is a sublime set of instrumental dream pop, dripping in gorgeous ambient guitar work and Slow Dancing Society’s trademark atmospherics. 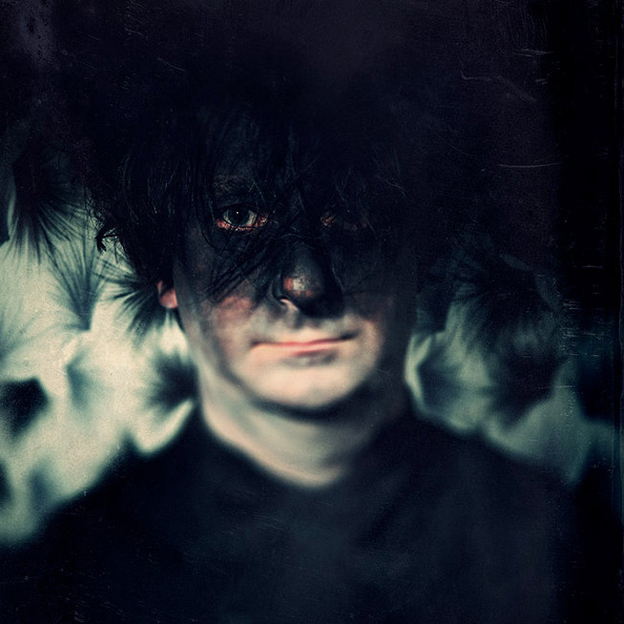 Opener ‘The Smiling Dawn’ pairs heartbreaking guitar with disorientating swirls of static, while the dream-pop of ‘Lilacs’, reminiscent of Disintegration-era Cure, is a clear highlight of the SDS discography. The EP re-establishes Sullivan’s exceptional command of melody and ambience, culminating in a release that is as luxuriant as it is emotionally poignant. I • Lilac Lullabies by Slow Dancing Society 16th June 2017 Following hot on the heels of the reissue of his acclaimed debut album The Sound of Lights When Dim, Drew Sullivan presents Lilac Lullabies, the first in a series of four new Slow Dancing Society EPs, lovingly mastered by Taylor Deupree. Each of the EPs will be released digitally, one per month from June to September 2017, with the four EPs released collectively on double vinyl later in the year. 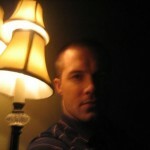 Lilac Lullabies is a concise, five-song serving of SDS’s sensual, free-flowing ambient. It revisits the atmospheric feel of earlier albums The Sound of Lights When Dim, The Slow and Steady Winter and Priest Lake Circa ’88, with a delicious sense of space and restraint. Centrepiece ‘A Quiet Storm’ reaches heavenwards with its Gilmour-esque guitar lines, while ‘Before We Wake’ is a meditation on weightlessness, with gently pulsing bass and an ephemeral shroud of synth. And ‘The Dusty Morning Light’ brings the EP to a reflective close with its beautifully wistful Mellotron line. The Sound of Lights When Dim (2017 Remaster) by Slow Dancing Society 28th February 2017 First released back in 2006, The Sound of Lights When Dim was one of Hidden Shoal’s most acclaimed early releases, landing on many ‘best of’ ambient lists. 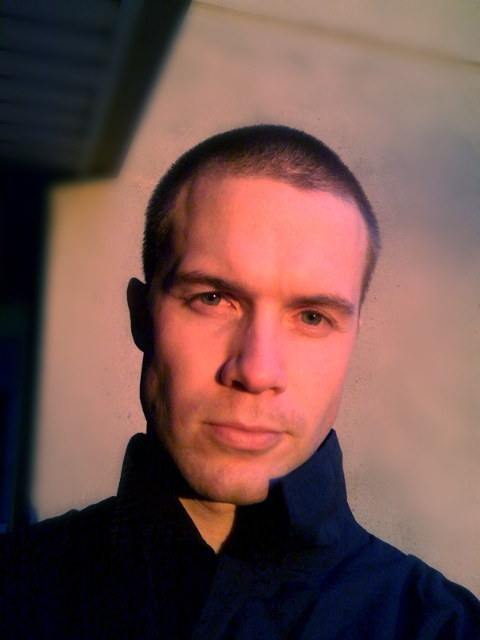 It introduced Drew Sullivan as an artist capable of imbuing minimal ambient compositions with enviable depth and emotion. While he has gone on to release another six full-length albums, his debut album still stands among his best work, unfolding as one long sumptuous ride towards a fading horizon. As with Eno’s finest moments and Sylvian’s ambient explorations, The Sound of Lights When Dim manages to dissolve its temporal markers and speak about moments removed from time. It talks to the delicious flaws of memory and feeling, while never sullying itself with literality or simple documentation. The fact that album track ‘A Song That Will Help You Remember to Forget’ has been streamed over 5 million times on Spotify speaks to the album’s lasting appeal. The Sound of Lights When Dim is available as a limited edition clear vinyl and in digital formats. To coincide with the release, the reissue is accompanied by a set of remixes of tracks from the original album by Echo Grid, Antonymes, Fr33dom People, Candlepark Stars, Startle the Heavens, Spenzar, Chloe March, and Monte Xannic. The Wagers of Love and Their Songs from the Witching Hour by Slow Dancing Society 23rd August 2016 On his seventh full-length release as Slow Dancing Society, Drew Sullivan’s sound continues to evolve. This 19-track epic meshes the warm, rich SDS sound with a new set of textures, bringing these musical snapshots into vivid definition. Trumpet and saxophone nestle amidst lyrical guitar lines, pulsing rhythms and expansive synths, creating an immersive and melancholy listen, tempered with rays of hope. Sullivan’s work is as cinematic as ever, yet here he’s scoring a more personal film. 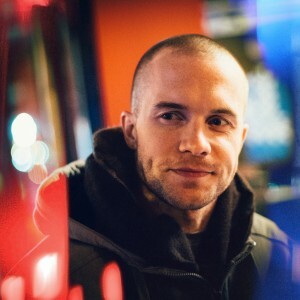 Profoundly influenced by Sullivan’s experience of becoming a father for the first time, the album took shape around the creation of single ‘The Color of Despair’. The track distilled his anxieties about his new life and responsibilities, and became ground zero for the album’s sound and production, with many other songs on the album evolving out of its instrumentation and feel. The ambient lyricism present here is a testament to the narrative possibilities of instrumental music, resulting in a strikingly complete-sounding album. The Dusk Recital was borne out of the sessions for Slow Dancing Society’s last album The Cogent Sea and is, in part, an instrumental homage to the mainstream dream-pop of the 90s. Cavernous drums, minimal guitar licks a la Roxy Music, and smooth saxophone lines feature prominently across these six tracks, all enveloped in the unmistakable Slow Dancing Society sound and feel. This is Drew Sullivan at his most playful, offering us a glimpse into some of the guilty pleasures he acknowledges as influences, while also delivering a deliciously smooth and immersive listening experience. Slow Dancing Society’s sixth album The Cogent Sea is another absorbing progression in Drew Sullivan’s mesmerising discography. The album continues the submersed exploration of Sullivan’s ’80s influences while also drawing upon an incredibly focused and cinematic ambient minimalism. There are trademark elements from across Slow Dancing Society’s stunning, critically acclaimed back catalogue, but rather than being throwbacks they present a continuity of narrative that is rarely found over such a large body of work. On single ‘A Clearing’, gently overlapping waves of synthesizer are suspended amid sustained tones, holding the listener transfixed before Sullivan’s trademark guitar sound gently brings the listener back down to earth, transformed. Second single ‘Pull’ is aptly titled, its droning radiance, warm piano chords and magnetic guitar figures pulling the listener irresistibly into its enveloping glow. This is Slow Dancing Society at his masterful, immersive best. Slow Dancing Society’s fifth album Laterna Magica demonstrates another key progression in the Slow Dancing Society discography, which is becoming one of the essential bodies of work in contemporary ambient music. The tracks are underpinned by gorgeous guitar drift and warm synth wash, sparingly propelled by throbbing electronic undercurrents. From the soft-focus exhalation of ‘A Few Moments’, via the gleaming musical universe of recently released single ‘I’ll Leave A Light On’, through to the hypnotic pulse and drifting melancholic piano of finale ‘Tomorrow’s Another Day’, Laterna Magica is a definitive Slow Dancing Society release. Following on from the ebullient warmth of the critically acclaimed Priest Lake Circa ’88, Under The Sodium Lights is Drew Sullivan’s latest ambient epic. The album feels like a distillation of the three stunning releases that preceded it – and as such is Sullivan’s finest work to date. The delicate interplay between focused melodic details and blurred washes of sound draws the listener into a hypnotised state, where the waking world and the world of sleep cascade in and out of balance. 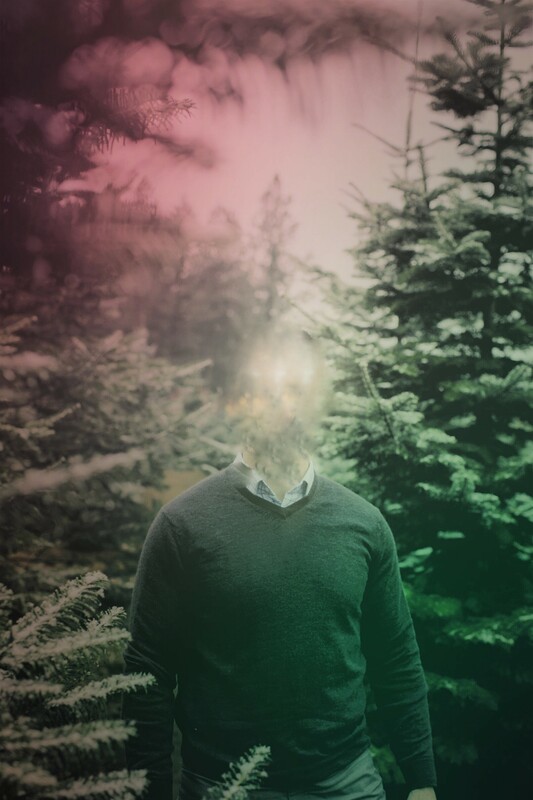 First single ‘…and to the dust we shall return’ sees the gradual accretion of reverberant guitar tones, emerging from the silence as sparse reflections across the stereo field. Slow searching melodies overlap and accumulate before a descending bass figure carries the song home to its elegiac conclusion. From the luscious, tactile dream of ‘The Songs In Your Eyes’ to hopeful finale ‘Love Is On The Way’, Under The Sodium Lights resonates with a rich emotional core – and the choking realisation of our own transience. 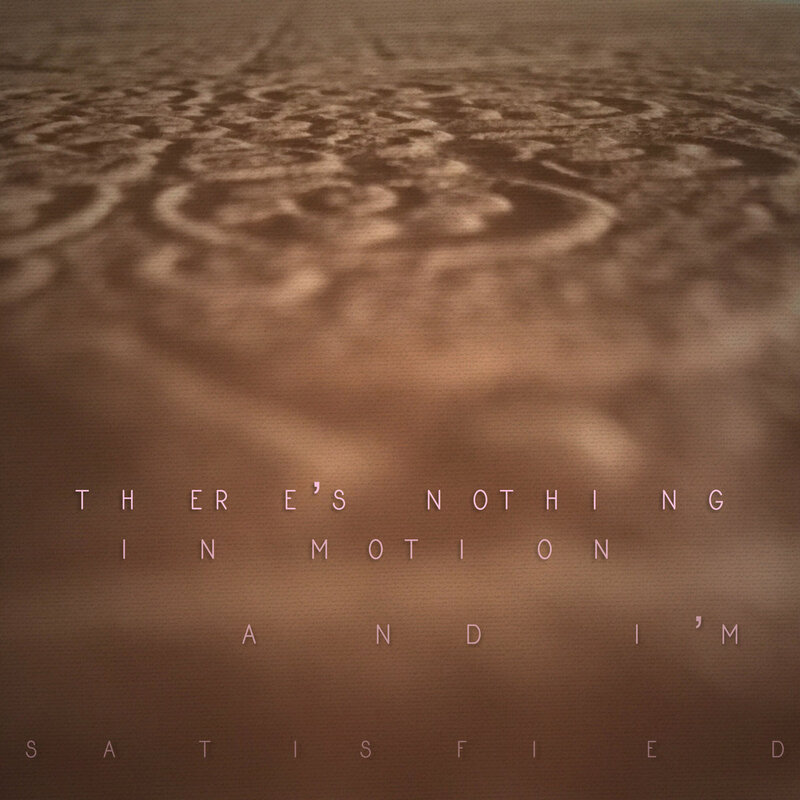 The album rewards immersive listening from start to finish, to really soak in its beauty. Following on from the ice-sculpted cinematics of the critically praised The Slow and Steady Winter, Priest Lake Circa ’88 is Drew Sullivan’s finest work to date. In essence, it is the second part of a double album that began with The Slow and Steady Winter, acting as a long-distance conclusion to the double album’s narrative arc. Priest Lake Circa ’88 exudes restraint and repose, yet is so richly melodic and full. While the album draws its raw form from ambient music, post rock and even dream pop, it is masterfully crafted into something that could only ever find itself under the Slow Dancing Society moniker. The album speaks of both departure and eventual return, and perhaps in its broadest sense the notion of “home”. Above all, this is music to bathe in: warm, steamy and all-encompassing. From the outset The Slow and Steady Winter sets itself up to be an epic. Clocking in at over an hour long and comprising of only eight tracks the album paints its majestic landscapes with both measure and purpose, unfolding a sound that moves from immersive ambient evocations to beatific bliss rock. The Slow and Steady Winter is not concerned with singularity but rather the totality of experience. The album is a gorgeously choreographed chronicle of a Spokane winter from the ice covered fields of ‘The Early Stages of Decline’ to the thawed warm edges of spring in ‘February Sun’. 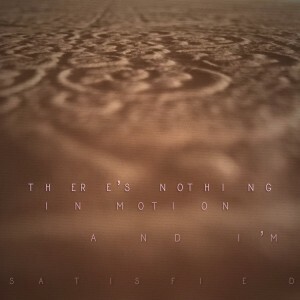 The album serves as a wonderful progression from Slow Dancing Society’s previous work both in sound and mood. In part it presents a much darker vision while still radiating an ineffable sense of humanity and heart. The Sound of Lights When Dim is a sumptuous unfolding ride towards a fading horizon. As with Eno’s finest moments and Sylvian’s ambient explorations, this work manages to dissolve its temporal markers and speak about moments removed from time. It talks to the delicious flaws of memory and feeling whilst never sullying itself with literality or simple documentation. 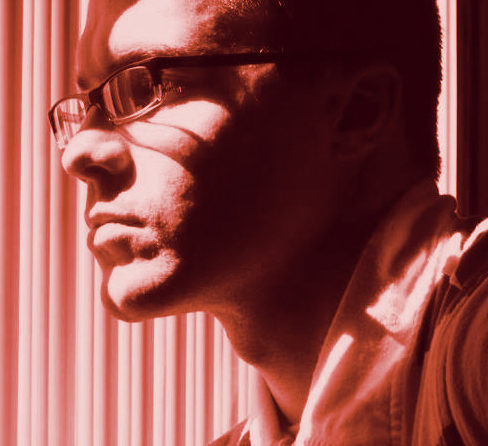 Slow Dancing Society is Washington based musician/producer and nostalgist extraordinaire, Drew Sullivan. If ever there was an artist who truly expressed themselves in a way that defies everything music and art expects, and at times demands, then Slow Dancing Society would be that artist. With influences ranging from classic artists such as Brian Eno, Def Leppard, Tears For Fears, The Cure, Eddie Money, Pink Floyd, Prince, Spandeau Ballet and U2 to contemporary artists like Manual, Charles Webster, Explosions In The Sky, Sigur Rós, Hammock, Red House Painters and My Morning Jacket, one might begin to understand what they are in for when they hear something coming from Slow Dancing Society. At times there is a pure abandonment of structure, continuity, consistancy and most importantly, hipness. If one were to compare the music of Slow Dancing Society to anything, it would be our memories and our past. Which is probably why one will experience such a sense of nostalgia and an overall coloring of sentimental values when they listen to the music. One cannot refute the notions that life is abstract, doesn’t always make sense, isn’t always beautiful (though at times the contrary) and never what it seems. So why then does the music have to be? We’re excited to announce the official release of The Dream Council, the masterful new album by post-ambient artist Slow Dancing Society. The album is available now via Bandcamp and is also available across all good online platforms such as Spotify, iTunes and Amazon. 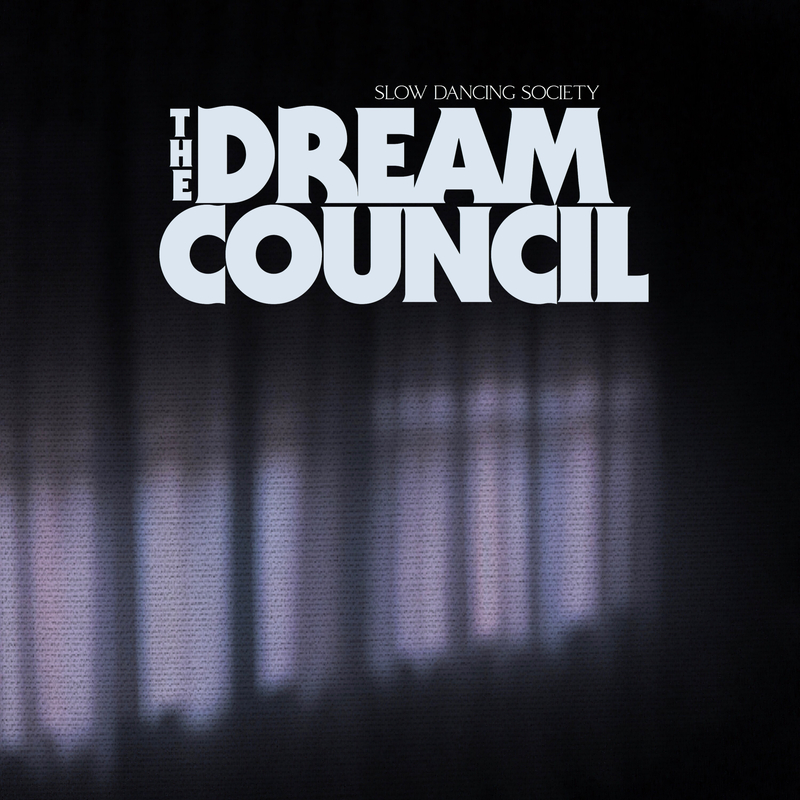 All songs from The Dream Council along with the rest of the Slow Dancing Society catalogue are available for licensing across film, tv, web, games and beyond. Check out our licensing page for more info and don’t hesitate to contact us to see how we can work together on your project. 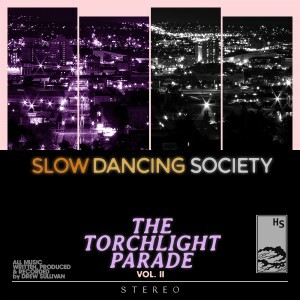 Slow Dancing Society “Night Takes Day” EP Out Now! It’s that time of year and our favourite best of 2018 list is out at Textura. We’re honoured to have three of our releases included this year. Slow Dancing Society‘s The Torchlight Parade Vols. I-II was chosen by Textura as their number one ambient album of the year and Chloe March‘s Blood-Red Spark and Todd Tobias & Chloe March‘s Amialluma both featured in the overall top 10 list. Massive congratulations to those artists and many thanks to Textura for their continued support of exciting new music. You know you want Slow Dancing Society‘s gorgeous The Dusk Recital on vinyl, so why aren’t you doing anything about it? Make it happen with a pledge at Qrates! 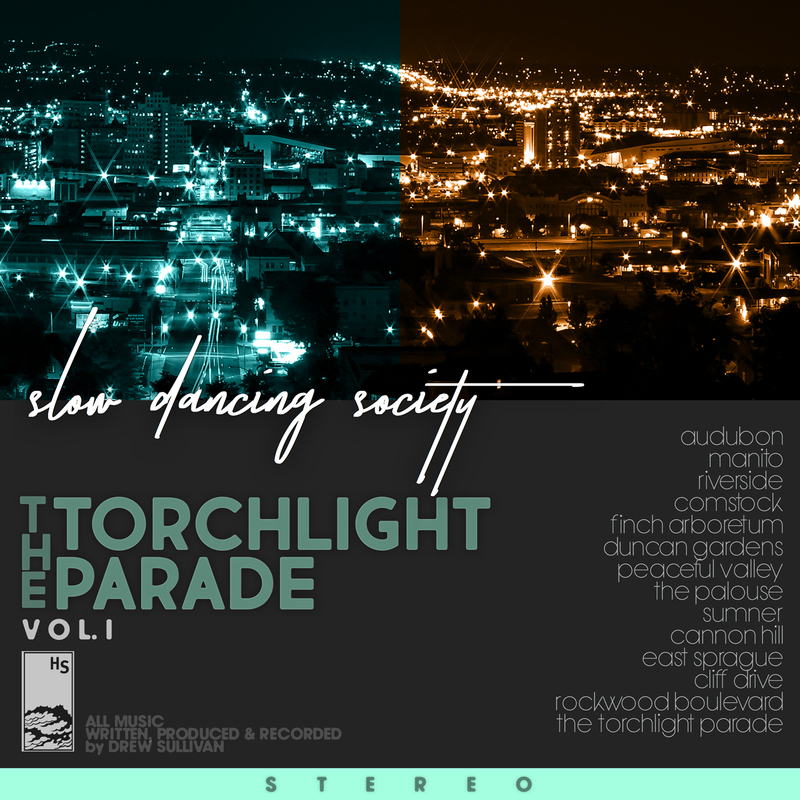 The stunning The Torchlight Parade Vol.1, the ninth album from US-based ambient artist Slow Dancing Society (Drew Sullivan) is now officially available. The album is the first installment of a two part series with Vol.II seeing release in August this year. 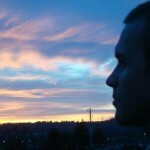 For the uninitiated, Sullivan’s debut, The Sound of Lights When Dim, which celebrated its 10th anniversary last year, is now considered one of the classics of modern ambient. The album is available now via Bandcamp and all good 3rd party digital stores. Continuing Drew Sullivan’s nocturnal explorations, The Torchlight Parade takes a smouldering instrumental palette and sparks it to life with gorgeous slo-mo guitar, pulsating synth bass and sparse beatwork. While SDS’s discography is best described as immersive, The Torchlight Parade feels submersive, pulling the listener into an instrumental soundworld with a genuine depth and distinct sense of place. All of the song titles on The Torchlight Parade refer to actual roads or places in Sullivan’s home town of Spokane, Washington, mapping out a deeply personal musical psychogeography. A spiritual successor to 2012’s Laterna Magica, the album extends its cinematic intentions through vividly filmic narratives, presenting an incredibly cohesive whole. Slow Dancing Society’s entire catalogue is available for licensing across tv, film, games, web and beyond. Contact us for more information. We’re very excited to announce The Torchlight Parade, the forthcoming ninth album from US-based ambient artist Slow Dancing Society (Drew Sullivan). 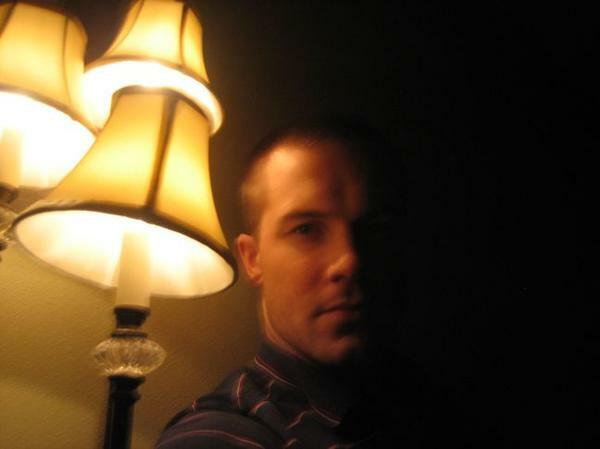 Sullivan’s debut, The Sound of Lights When Dim, which celebrated its 10th anniversary last year, is now considered one of the classics of modern ambient. The first cut from the new album, ‘East Sprague’, is available now via SoundCloud and Bandcamp, with the full album seeing release on the 4th of May. Slow Dancing Society’s music is available for licensing (film, tv, web etc) via Hidden Shoal. Check here for more information. “The title of Slow Dancing Society’s latest EP is rather apropos: the languid guitar lines and sparkling synthesizers create a sense of day passing into night, of sunlight giving way to a mysterious, even dangerous darkness. “Remember, Love” easily sets the mood, as Drew Sullivan’s guitar lines shimmer and reflect off of dark electronic undercurrents. In keeping with the song’s title, there’s a nostalgic sense — but the guitar notes reveal an edge in the song’s final moments that keeps it from growing too sentimental. Those undercurrents reappear on “Pulsing Amber,” this time evoking empty city streets coated in a slick of rain and neon light. Meanwhile, “Do You Want to Get out of Here“‘s gentle synthwave wouldn’t be out of place on the Stranger Things soundtrack. Finally, the EP ends on a harrowing note with the creepy synths and roiling guitar distortion of “The Morning After,” which suggest something ominous took place the night before. “A long title and an equally articulated nineteen songs facility marks the seventh work of Drew Sullivan, which coincides with the tenth anniversary of its activities under the alias Slow Dancing Society . 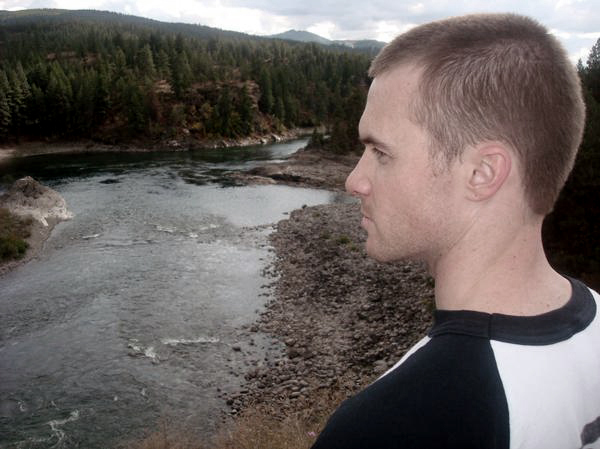 In this broader context, which is well over the total duration of time, the Washington guitarist ranges from artist now sailed among the regulars soundscapes that combine atmospheric size and post-rock characters and consistent ramblings in less explored territories. Thus, compared with a starting light environmental mold, subsequently clocked by electronic and harmonic-rhythmic pulsations buildings pointing to emotional involvement, the work gradually reveals aspects of Sullivan’s personality so far remained on the margins of his artistic creation. 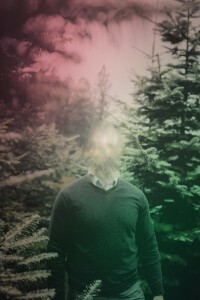 This corresponds to a part of his old musical passions, directed to something decidedly more “classic” than realized in own; It happens so that the guitars are stripped naked of environmental reverbs to reveal languor suffused psychedelic seventies, that you are of the warm colors from the ancient rock flavor. 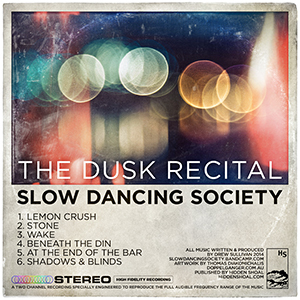 Slow Dancing Society’s music is available for licensing (master & sync cleared) through Hidden Shoal. Please contact us with some basic details about your project and the track(s) you wish to use and we’ll be sure to get back to you straight away.